Do we have your correct email for Propwash? 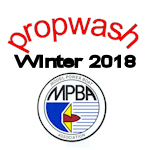 The electronic version of the Winter Propwash has gone out to all the registered members. However there are a number of e-mails that have been returned as undelivered.